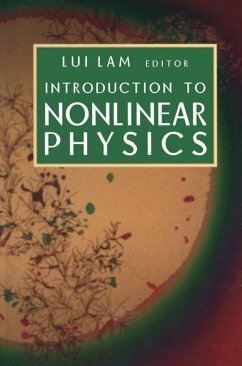 This textbook provides an introduction to the new science of nonlinear physics for advanced undergraduates, beginning graduate students, and researchers entering the field. The chapters, by pioneers and experts in the field, share a unified perspective. Nonlinear science developed out of the increasing ability to investigate and analyze systems for which effects are not simply linear functions of their causes; it is associated with such well-known code words as chaos, fractals, pattern formation, solitons, cellular automata, and complex systems. 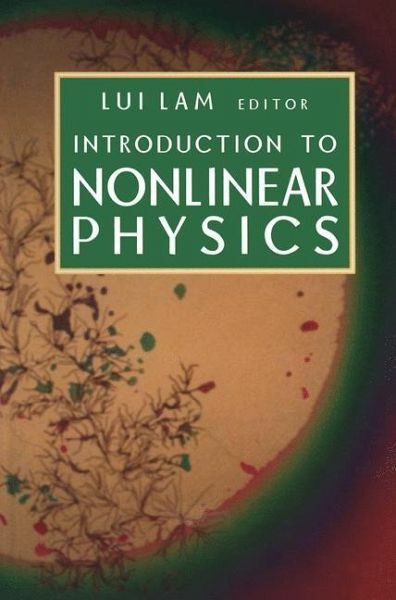 Nonlinear phenomena are important in many fields, including dynamical systems, fluid dynamics, materials science, statistical physics, and paritcel physics. The general principles developed in this text are applicable in a wide variety of fields in the natural and social sciences. 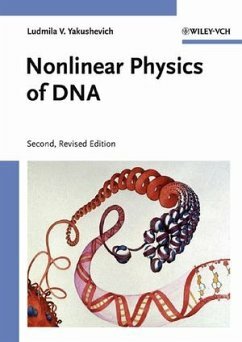 The book will thus be of interest not only to physicists, but also to engineers, chemists, geologists, biologists, economists, and others interested in nonlinear phenomena. Examples and exercises complement the text, and extensive references provide a guide to research in the field. Verlag: Springer New York / Springer US, New York, N.Y.
2.4 Physical Applications of DLA. 2.4.1 Electrodeposition with Secondary Current Distribution. 3.2 Systematic Definition of x(q). 3.4.1 Operator Product Expansion and Multifractality. 3.6 Ensemble Averaging and r(q). Scaling Arguments and Diffusive Growth. 4.3 The Electrostatic Scaling Relation. 4.4 Scaling of Negative Moments. 5.2 Determinism Versus Random Processes. 5.3 Scope of Part II. 5.4 Deterministic Dynamical Systems and State Space. 5.5.1 Properties of Dynamical Systems. 5.5.2 A Brief Taxonomy of Dynamical Systems Models. 5.5.3 The Relationship Between Maps and Flows. 5.6 Dissipative Versus Conservative Dynamical Systems. 5.7.2 The Spectrum of Lyapunov Exponents. 5.9.5 Stable and Unstable Manifolds. 5.10.1 Chaos in Higher Dimensions. 5.10.2 Bifurcations Between Chaotic Attractors. Probability, Random Processes, and the Statistical Description of Dynamics. 6.2.1 Estimating a Density Function from Data. 6.4.2 Time Averages and Ensemble Averages. 6.6 Fractals, Dimension, and the Uncertainty Exponent. 6.6.5 Estimating Dimension from Data. 6.7 Dimensions, Lyapunov Exponents, and Metric Entropy in the Presence of Noise. 7.2.3 Broomhead and King Coordinates. 7.2.4 Reconstruction as Optimal Encoding. 7.3.1 Choosing an Appropriate Model. 7.5.2 Optimal Solution of Shadowing Problem with Euclidean Norm. 7.5.5 Limits to Noise Reduction. Pattern Formation and Disorderly Growth. 8.1 Aggregation: Patterns and Fractals Far from Equilibrium. 8.2.3 Growth of Colloids and Aerosols. 9.2.3 Orderly and Disorderly Growth. 9.2.4 Electrochemical Deposition: A Case Study. 10.2 Origin and History of Solitons. 10.3 Integrability and Conservation Laws. 10.4 Soliton Equations and their Solutions. 11.2 Nonintegrable Soliton Equations with Hamiltonian Structures. 11.3.2 The Damped 0* Equation. 11.4 A Method of Constructing Soliton Equations. 11.8 Solitons in Condensed Matter. Cellular Automata and Discrete Physics. 12.1.3 The Information Mechanics Group. 12.2.2 Physical Properties from CA Simulations. 12.4 Current Sources of Literature. 12.5 An Outstanding Problem in CA Simulations. Visualization Techniques for Cellular Dynamata. 13.3 An Example of Zeeman's Method. 13.3.1 Zeeman's Heart Model: Standard Cell. 13.3.2 Zeeman's Heart Model: Physical Space. 13.3.3 Zeeman's Heart Model: Beating. 13.4.1 The Biased Logistic Scheme. 13.4.3 The Global State Graph. 13.5 The Isochron Coloring Method. 13.5.1 Isochrons of a Periodic Attractor. From Laminar Flow to Turbulence. 14.1 Preamble and Basic Ideas. 14.2 From Laminar Flow to Nonlinear Equilibration. 14.2.2 A Weakly Nonlinear Analysis: Landau's Equation. 14.3 From Nonlinear Equilibration to Weak Turbulence. 14.3.2 The Period Doubling Sequence. 14.3.4 Fluid Relevance and Experimental Evidence. 14.4.1 Scaling Arguments for Inertial Ranges. 14.4.2 Predictability of Strong Turbulence. 15.4.3 Multiwalkers and Updating Rules. 15.5.1 Dielectric Breakdown in a Thin Layer of Liquid. 15.5.2 Ion Transport in Glasses. 15.5.3 Ant Trails in Food Collection. 15.7 Landscapes and Rough Surfaces. 15.9 Related Developments and Open Problems. Appendix: Historical Remarks on Chaos.